So what’s the deal with Open Houses anyway? If you are wondering what the Real Estate Agent is thinking or what the general protocol is… let me help you out a little. I can get really bored. Most of the time I’m just happy for the company! So c’mon in! Yes, you can use the bathroom. It’s ok. If you don’t like the house, the staging or the design, it’s ok to say so. You can’t hurt my feelings…It’s not MY house. Sticky fingers on the furniture or broken staging pieces are hard to explain to Seller: Keep an eye on the kiddos. 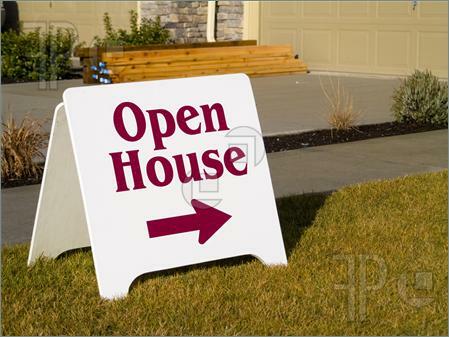 You may go to an open house with/without a Real Estate Agent. *BUT* if you have one, just tell me. I’ll leave you alone but still answer your questions. Do you really need a flyer? Or is that just an excuse not to have to talk? Engage the agent. They might actually know some really interesting things that are NOT on the flyer. Shoes off please. One weekend of open houses can trash the floors. Poke around, open cabinets and drawers. They Agent will let you know if there is anything off limits. Shop an Agent at an open house. Are they on the phone? Do they have statistics and community info? How long have they been an agent? This is an easy opportunity for an impromptu interview if you are looking for an agent. 10 years of hosting open houses. Just thought I’d share.